Honda's engineers are now working hard to finalize the Dual Clutch Transmission (DCT) that can be applied in all of motor sports model Honda. Understandably, this time only a few models of Honda sport that uses technology among NC750X DCT, Africa Twin and VFR1200F. While some kinds of models Fireblade or CBR600RR also not use this technology. This was justified one of Honda engineers, Kosaku Takahashi. According to Takahashi, the problem DCT does have size and weight more than conventional transmission. It makes no all Honda sport according planted with this technology. Reported by Visordown, Thursday, March 24, 2016, Honda engineers are currently working hard to make this technology suitable for all motorcycle sports, including the effort to reduce the weight of the dual cluth this. Understandably, using this transmission, the motor load will increase by around 10 kg at least for two models of motor sport honda, NC750X and Africa Twin. 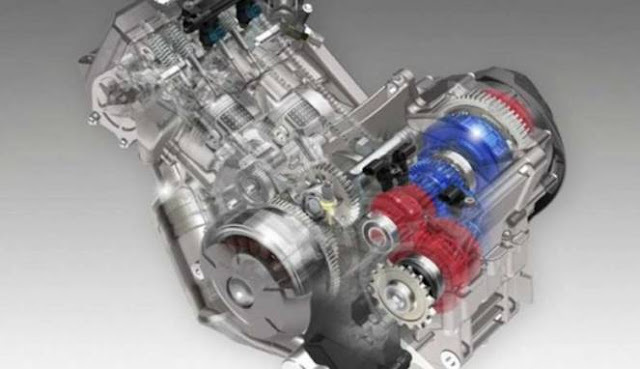 Takahashi also confirmed that despite having a heavier weight, but the motor that uses DCT technology is able to go faster because this technology can reduce energy wasted during the gearshift.